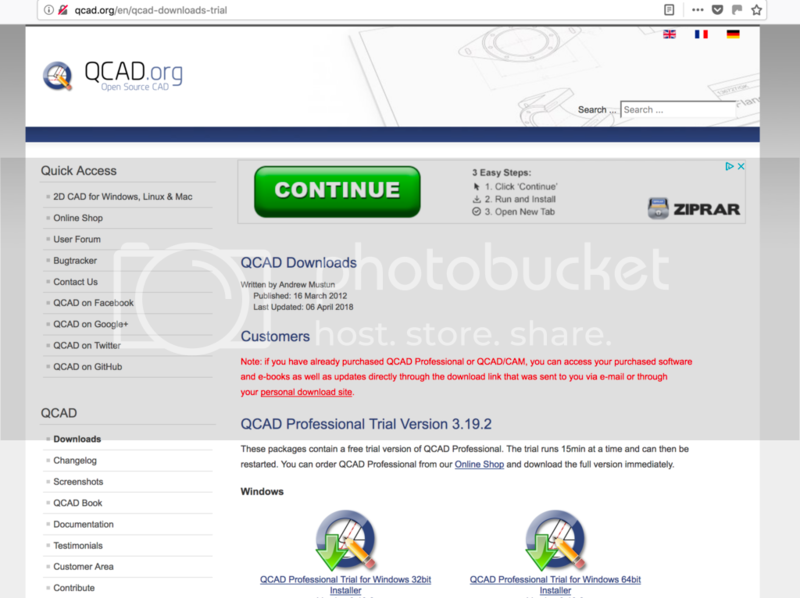 Is QCAD the right thing for me please? I want to do some drawings of my property to assist with building design changes and subsequent building works. Ideally an Architect would be able to take my digital drawings to open and use in their own drawing package whatever that might be like AutoCAD etc. We do not bundle any other software nor would we use rar or similar. The downloaded package is a standard disk image (DMG) file. Not sure where you downloaded from before.. Thanks Andrew, Sorry but it was the large CONTINUE button at the top on that exact same link you gave me that misleadingly took me through ZIpRar and eventually a worrying MacKeeper option. Do you also see that button on that link ? I hope my Mac has not been infected with that. I'll give the free trial a go. Thanks again Andrew.